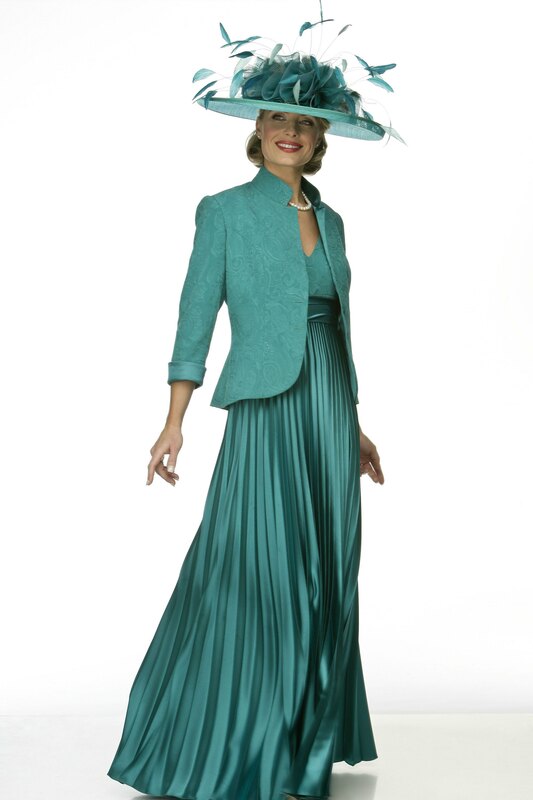 Stunning dress with sunray pleat satin skirt on embroidered silk bodice matching the elegant embroidered jacket with plain satin trim. Choice of colours. Made to measure.